At CIT, we seek to make the transition into study as easy as possible by offering comfortable, well-equipped accommodation close to our campuses. The CIT Bruce Residence is self-catered and provides comfortable, fully-furnished single bedroom accommodation that includes a phone line; heating, shared bathroom, laundry facilities, kitchen, recreational room with television, courtyard, barbeque area and car parking. 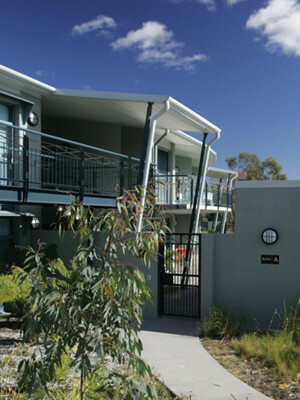 The Monterey Apartments is also self-catered and provides comfortable, fully-furnished single bedroom accommodation that includes; heating, shared bathroom, laundry facilities, kitchen, recreational room with television and car parking. You can also opt to stay at the Australian Institute of Sport Residence, in a homestay, or independently rent your own property. To find out more about CIT's accommodation options, click here. Or click here to apply for accommodation now.